We got the Dark Chocolate Potato Chip, the Cookie Inception and the limited edition cookie (during our visit), the Reese's Inception. My favorite, the Dark Chocolate Potato Chip (Php 95) is a combination of sweet and salty, is a dark chocolate chip cookie potato chips topped with salt pretzels dark chocolate. 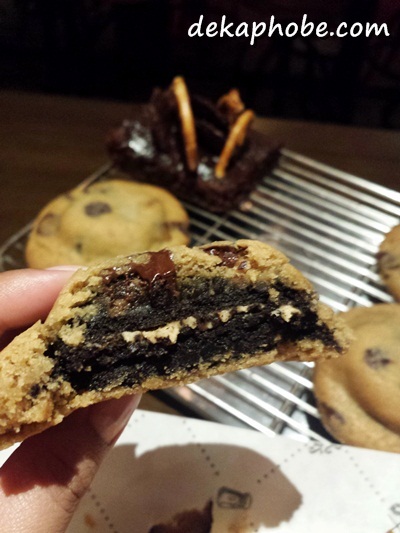 A cookie lover's dream: the Cookie Inception (Php 95) is a cookie within a cookie. 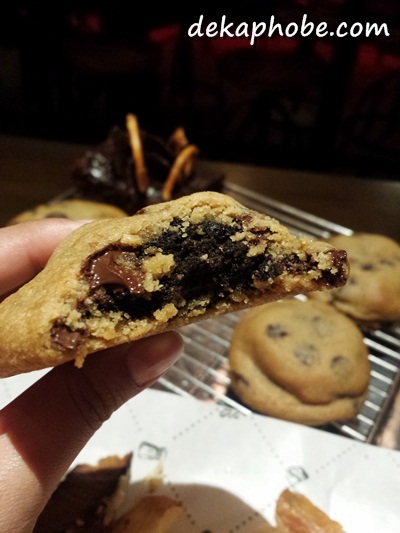 It has an oreo and double chocolate fudge inside the chocolate chip cookie. I tell you, it is deliriously amazing stuff. The limited edition Reese's Inception was the Reese's fanatic boyfie's favorite. A combination of Reese's, Oreo and Chocolate Chip is any sweet tooth's dream come true. It is similar to Cookie Inception, except that it has the limited edition Reese's Oreo with peanut butter chocolate chip cookie. 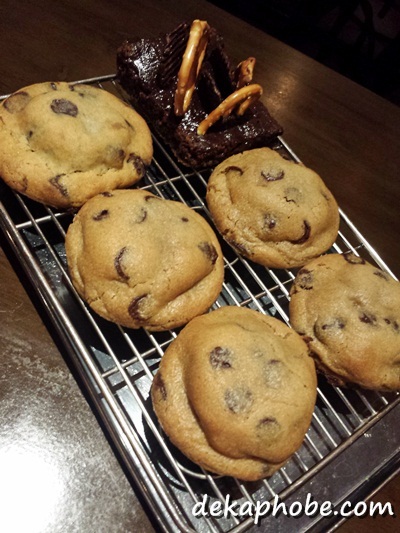 We loved the cookies but we would have appreciated it if the staff offered to have it warmed before it was served to us. Aside from that, I would love to return and try more cookies from Scout's Honor. I would love to create my own cookie too.